Burning Economic Issues Behind America’s Wildfire Problem | "Global Possibilities"
The West, and federal taxpayers, have a serious and growing problem as communities continue to expand in and around forested and grassy landscapes prone to fire. As Headwaters Economics has shown so vividly in fine-grained maps, there is a vast amount of developable land in vulnerable zones that, without changed policies, will greatly increase exposure to hazard, and do so even as climate change boosts odds of fire-friendly conditions. There are glimmers of hope in places that matter. In March, the Utah legislature passed a bill that next year will shift how the state and counties share the costs of fighting wildfires — in a way that increases the incentive for counties to invest in cutting fire vulnerability before the sirens blare. 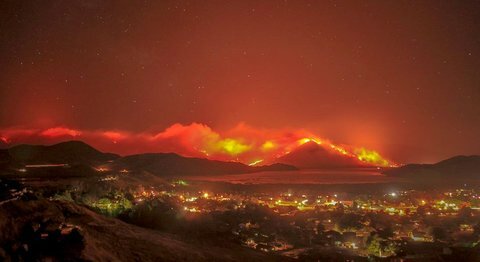 Wildfires are heating up once again in the American West, with fires currently raging in Montana, California and much of the Southwest. So far in 2016, more than 30,000 fires have burned nearly 3 million acres. Last year, wildfires burned more than 10 million acres in the United States at a cost of $2.1 billion in federal expenditures—the costliest year on record. As the fires burned, the U.S. Forest Service announced that more than half of its budget would be devoted to wildfire. And the situation is likely to get worse. Researchers with the U.S. Department of Agriculture estimate that by 2050, the total amount of acreage burned annually will be at least twice as high as it is today. From an economic perspective, the question is whether the increase in wildfire expenditures is justified or not. But assessing the efficiency of wildfire management is complicated in practice. The institutions and organizations that govern wildfire suppression efforts are exceedingly complex. For most large wildfires, for example, the National Interagency Fire Center (NIFC) in Boise, Idaho, coordinates response efforts with a variety of agencies such as the Forest Service, Bureau of Land Management, state land agencies, private landowners, and municipal or county agencies. This wildfire-fighting network comprises a bewildering array of laws, policies, and contracts that create a complicated mix of outcomes and incentives. Scholars and other commentators suggest that inefficiencies abound in the system, leading to overinvestment in suppression (fighting a fire once it’s already ablaze) and underinvestment in prevention (mitigating fire risk prior to ignition). The optimal level of fire suppression happens when an additional dollar of spending on suppression avoids at least a dollar of wildfire damages. This means that it’s not enough to examine aggregate data on costs of wildfire suppression, or even the cost per acre burned, to assess the efficiency of suppression. Furthermore, different landscapes will call for different levels of suppression expenditures. A “let it burn” policy may make sense in certain remote areas, whereas “all out” suppression might be called for in the so-called “wildland-urban interface,” where developed properties are adjacent to and intertwined with fire-prone natural landscapes. While the aggregate data available on wildfire costs can give us a sense for important trends, they are insufficient to assess the efficiency of wildfire suppression efforts. In the West, wildfires tend to burn across a mosaic of private and public lands, which increases the costs of coordinating wildfire suppression efforts across vast regions. Public agencies, therefore, are well positioned to realize economies of scale and specialize when it comes to wildfire prevention and suppression. Thus, there is an economic justification for vesting wildfire suppression responsibilities in large-scale public agencies that can overcome these coordination costs. But there are issues with the public approach. 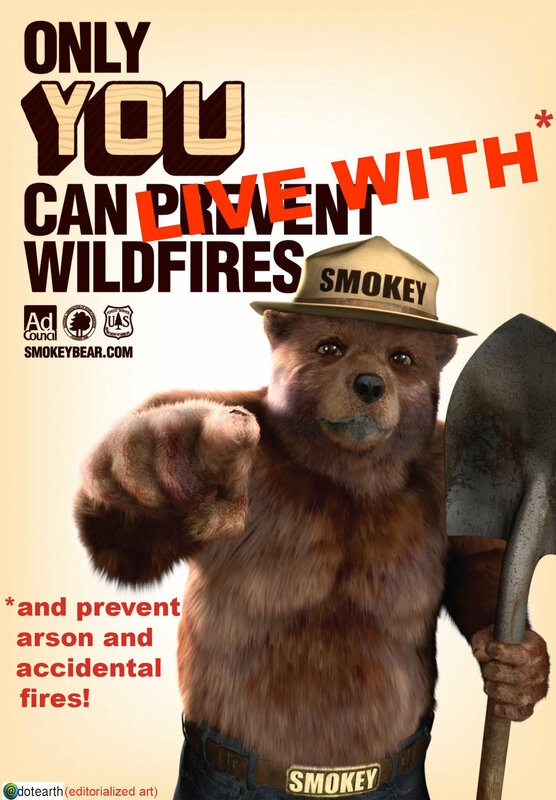 Firefighting agencies do not bear losses from wildfires. If valuable commercial timber is destroyed during a backfire ignited by firefighters, for example, the timber owner will bear the loss, not the public agency. Similarly, firefighters do not directly bear suppression costs, so public wildfire agencies have weaker incentives to be discerning about the efficient allocation of resources than would a private landowner. Furthermore, federal agencies essentially have a “blank check” to fight fires, which provides little incentive for them to make economically efficient suppression decisions. The reason for this is relatively straightforward: Cutting off funding for firefighting resources when a fire is threatening private assets and human lives is not politically feasible. This “blank check” reduces incentives for cost-saving and may contribute to wasteful spending. For example, the suppression techniques used to fight large fires are often ineffective. Nevertheless, agencies are quick to use aircraft-delivered fire retardant—dubbed by some as “CNN drops”—whose effectiveness is questionable. The increased use of large and costly backfires can likely be traced to such incentives. 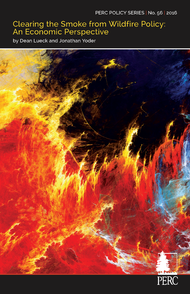 As a result, suppression costs often far exceed the value of the resources protected. Property owners also influence decisions made by public suppression agencies. Wealthy homeowners, for instance, may be able to use political pressure to secure more wildfire-fighting resources for their own benefit at the expense of protecting valuable assets elsewhere. 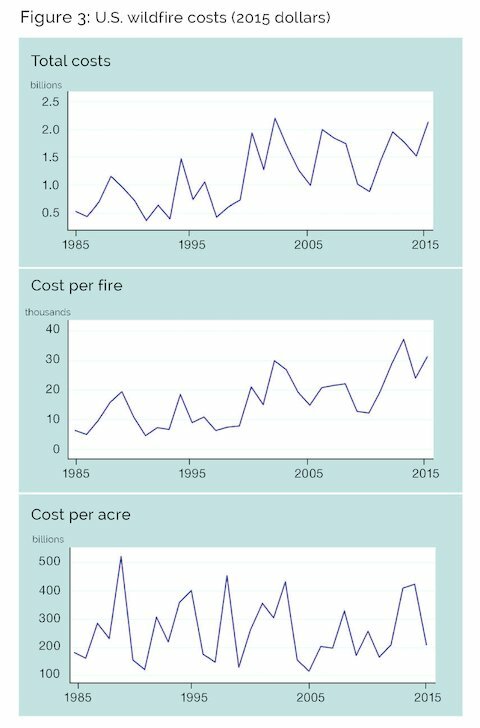 Much of the public concern over wildfire spending is focused on the increase in fire size and fire expenditures, rather than the underlying incentive structure that contributes to these high costs. As a result, many of the existing policy reform proposals are unlikely to make things better. None of the funding proposals currently on the table would alter the incentive structure that public agencies face when it comes to wildfire suppression. There would be just as much incentive to spend as before, and even less fiscal juggling involved. Unless the underlying incentives are changed, there is no reason to think that wildfire management will improve—or that total wildfire expenditures will decrease. One challenge is that identifying the cause of increased wildfire expenditures is convoluted—and without this understanding, policy reforms are likely to miss the mark. Have larger fires led to larger wildfire budgets, or have larger wildfire budgets led to larger fires and greater suppression expenditures? The question is complex for two reasons: First, agencies have incentives to lobby for greater fire budgets and then exhaust those budgets regardless of existing fire conditions. Second, there are confounding factors such as climate change, the effects of past fire exclusion, and increasing development in the wildland-urban interface, which contribute to higher wildfire spending. Real policy change will require changing the incentives. One possible and worthwhile policy change would be to fix base funding for fire management at a constant level while allowing fire managers to “bank” funds to address future policy needs. If such banking were allowed, agencies would have an incentive to spend more efficiently on wildfire management. They would face at least some of the opportunity cost of their current expenditures, which would provide an incentive to reduce costs or otherwise save. Another potential change would be to better balance damage and suppression costs to lower the overall costs of fire—in effect, devoting more resources away from suppression and toward the protection of assets at risk. Finally, perhaps the wisest approach is to reduce fire risk before fires even start. This can be achieved by reducing hazardous fuels, “fire-proofing” at-risk properties, and investing in “Firewise” programs that help reduce the risk of wildfires through landscape and building material modifications. There is potential to improve the incentives for wildfire risk management and suppression, but doing so will be difficult—and it will require political resolve. Recent proposals for wildfire budgeting would do little to change the underlying incentives of wildfire management, and it is unlikely that they will improve the efficiency with which wildfires are managed.